floor 2 bdrm/2 bath unit! Reno project on 64x132 lot. 7878 Garfield Drive 3400 sqft Royal York beauty close to everything! WALK TO FRANK HURT SCHOOL 6 bdrm. hse. has 1 bdrm. (unauth.) suite in the bsmt plus 2 bdrms & washroom gor upstairs use or use 3 bdrms suite; 3 full baths. LUC over 7,200 sq.ft.lot. Asking $574,900. TWO STOREY HSE.+BSMT. Less than a year old this 4 bdrm house has top of the line fin. Main flr. has spasious fam rm & spice kitchen. Bsmt. has 2 bdrm suite & theatre room; 6 washrooms; gas F/P & high ceiling & dble.garage. NO GST Asking $828,800. #106 - 13680 84 Ave.
*Some conditions apply. The Annual Percentage Rate (APR) is for a mortgage of $100,000 with monthly payments and a 25-year amortization, assuming no fees apply. If fees and/or charges apply, the total Cost of Credit and APR would increase. This promotion is subject to member(s) being approved by Prospera Credit Union’s lending guidelines. Offer and rate may be changed, extended, or withdrawn at any time without notice. Available O.A.C. **To be eligible, the member must set up direct payroll deposit to a Prospera chequing account. Available for new mortgages and reﬁnances of $100,000 or more with a 5 year minimum term. 1. Prospera will reimburse up to a maximum of $1,000 the discharge fee charged by the member’s current ﬁnancial institution, prepayment penalties, and/or any new legal/appraisal fees. 2. Waived chequing fees are for the term of your Prospera mortgage and include the monthly fee and standard transactions. Non-standard services still incur regular charges. 3. $5,000 unsecured line of credit is automatically approved for conventional mortgages at a rate of Prospera Prime Lending Rate + 2% for insured, Prospera Prime Lending Rate +3% for uninsured. As of July 18, 2015, the Prospera Prime Lending Rate is 2.70%. For high-ratio mortgages, $1,500 overdraft protection is automatically approved at Prospera’s posted overdraft protection rates and fees. Some conditions apply. For full details on the myStyle Mortgage, please visit a branch or call 1.888.440.4480. This amazing 6 bed basement entry home is a gem. Upstairs features laminate flooring throughout, 3 large bedrooms & 2 full baths that have been recently updated. You can relax in the large south facing living room on sunny days or the cooler main floor family room overlooking the north facing back yard of the 8100 sq ft lot. Downstairs has 3 beds w/ a functioning daycare; however this could be easily changed to a large, walk out 2 beds mortgage helper if needed. All this located just blocks from Green Timbers & easy access to SkyTrain. 6598 Faber Cres., Delta GORGEOUS HOME! 11769 64B Ave., Delta A Home For All Occasions! A wonderful 2887 sq ft home located on a quiet, private and secluded 10,700 sq ft lot! An amazing west coast plan featuring a dramatic vaulted ceiling in the entrance and living room and a family/games room opening onto a covered patio/ pool area! Pool is concrete and the heater was replace in 2014. Many recent updates including Kitchen, furnace/air conditioning (with heat pump), roof, hot water tank, vinyl windows and lighting fixtures. Close to all amenities. Great to live in or to hold onto as an investment property. This unit has 1 bedroom, 1 Den and 1 bath is centrally located 2 blocks away from Surrey Central Skytrain, Surrey Place Mall, Surrey Recreation Center, SFU and the T&T Food market. This property features open floor plan, high quality finishing, granite countertops, tiled backsplash and stainless appliances. ULTRA, the city of Surrey’s tallest concrete building a few steps away from the skytrain station, SFU surrey campus, Surrey Central Mall, and City Hall. Located on the 26th floor. This unit is good to go and ready for quick possession. There are no rental restrictions and is pet friendly however with restrictions. light fixtures. Absolutely stunning landscaping featuring a pond & large banana trees! Private b/yard oasis, double garage & lots of parking. 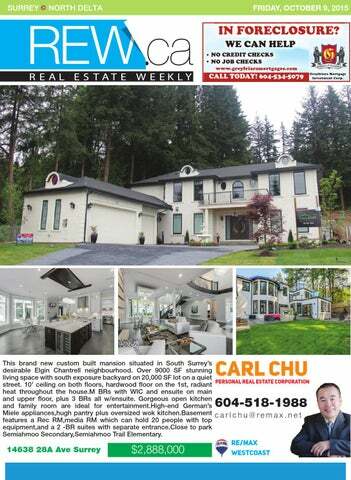 #106 13727 74 Ave., Surrey Own Rather Than Rent! 14825 87 Ave., Surrey Move in Ready! Located in the King's Cross development this bright and clean one bedroom apartment features extra high 9 foot ceilings, large private south facing patio, fireplace, covered and secure parking and a super convenient location! Just a short walk to coffee shops, major shopping, restaurants and transportation. A great opportunity to own rather than rent! This updated 2332 sq ft home is located on a quiet culde-sac. A fantastic layout with 4 bdrms up, living rm, family rm & bonus games rm (the double garage has not been filled in! Updates & improvements include gorgeous hardwood floors, high efficiency furnace, H/W tank, fridge/stove/dishwasher and washer/dryer. A well thought out layout featuring 4 sliding glass doors opening onto the private back yard. Sunny/ peaceful rear yard features beautiful landscaping w/ large sundeck! Thank you for viewing this lease listing. This unit is ready to go, open up shop in the most busiest area on 128 Street. There is lots of vehicle traffic, great exposure for your business! A nice square unit with a room in the back for storage or an office, come take a look. 111 8334 128 STREET | $259,000 Great location to start up a business or keep the current tenant and leave it as a income making property. This unit is in the heart of Surrey. Ample parking space around and other successful businesses, this unit wont last long on the market. On the main floor you will find ease of access. Call to view this unit. Please do not walk into the unit without an appointment and please do not disturb the tenant. 7456 Barrymore Dr, Delta • $729,900 ROYAL YORK BEAUTY! Fantastic family home with most of the major work done. Basement entry home with brandnew modern styled kitchen, new carpets and flooring, newer roof, furnace & windows. 3 bedrooms up and 1 down. 2 1/2baths. From the moment you walk into the large foyer, you will note the high basement ceilings with ample space foryourselves or to create a secondary suite. Huge wrap around deck with new glass railings emphasize the ample view outto the South West for those great evening sunsets! . Private grassy backyard with gazebo(containing your private hot tub).Located in one of NORTH DELTA'S nicest neighborhoods steps to Sungod Arena, Delta Nature Reserve trails, Burns Bog,bridges, transit and great schools. 4469 196TH STREET Rare chance to own a piece of heaven on earth! 3455 sq’ executive home on 28,576 sq’ lot. 4 bedrooms + games/flex room up; living, dining & family room, GOURMET KITCHEN & den on main. Great for GROWING/RETIRING FAMILY who enjoys horseback riding, playing tennis, boating & fishing in Anderson Lake - all these on the 17-ACRE COMMON AREA in this 4-family strata complex. Conveniently located at Langley/Surrey border with schools, shopping & transit close by. 106 15558 16A AVENUE, Surrey • $225,000 Fantastic, spacious 873 sqft 1 bed 1 bath on a quiet cul-desac steps from everything in White Rock. Ground level unit with HUGE private wrap-around patio- large enough for the largest patio set. Great for a pet or for those who don't lik e stairs. Updated light fixtures, newer high-end laminate flooring, crown molding, new gas fireplace with heatilator. Large kitchen with eat-in area opens out to the inviting living area. Large master suite with extra-large walk-in closet with built-in organizer and slider doors to the patio. BONUSlaundry closet situated in the bedroom. One parking stall and one storage locker. Rainscreened, well-managed building. 2 pets ok- with restrictions. No age restriction. Book your appointment today. DEXTER ASSOCIATES REALTY 18507 28TH AVE. Fantastic 2 bedroom and den, corner unit, with 2 balconies and 2 parking stalls overlooking a greenbelt. Welcome to the Esprit, a beautiful modern building with all the bells and whistles. This great room concept 2 bedroom and den (large en ough to be a 3rd bedroom) was fitted with all the upgrades such as granite countertops, crown moulding and stainless steel appliances & laminate floors. Wonderful kitchen with breakfast and bright. Great fitness room, media room and guest suite. Shows very well. Taking our Listings Global 9115 CARVER CR. DO YOU HAVE A PROPERTY FOR SALE? OPEN SUNDAY 2-4 PM SUBDIVISION POTENTIAL! Corner Commercial Lot Langley 21588-96 Avenue Busy corner C4 Zoning 169x119 allow to build 9000 S.F. Building in 2 levels. Ready to go. Builder has already spent over $80,000 on the site preparation. The Lexington 16995 64th Ave.
OPEN HOUSE - FRASER HTS Lots of renovations including: - brand new kitchen! - new flooring - fresh paint - updated bathrooms... & much more! Stand-alone 3 level, DUPLEX style END UNIT. 2620 sq ft 3 bedroom, 4 BATHROOMS. Lrg backyard, dble garage with the ability to park 2 cars in the front. Kitch with island, great appliances with granite tops and tile floor. Deck of the main. Vaulted ceilings, engineered hardwood floors, newer stain free carpet. Lrg master on the main level, with a Lrg second bdrm and rec-room down, with walkout to a patio and lrg backyard. Completely finished basement with a media room, bdrm and a full bath. Lots of Storage. Screens on all windows, Air conditioning, B/I Vac, alarm system. Prime location overlooking the green space. Gym, gated community. Pets OK. New HW Tank. This home is squeaky clean and well looked after. Asking $579,000. Sub Dividable Property Into 2 or 3 Lots 11409-142 Street Corner lot 13151 S.F. sub-dividable into 2 big or 3 RF12 lots. Lot 80x168. House is rented for $2,000 a month. Asking $678,000 40 Lots Subdivision West Kelowna 25 lots left. 180 degree gorgeous view of Lake Okanagan. Starting from $229k. Lots are 8000 to 10,000 S.F. House will sell for $700,000 to $750,000 Basement Entry Home in Newton 6870-130 Street 3 Story (Open House Sunday 2 to 4 PM) 11 year young, 3 story, 7655 S.F. house plus garage. Corner lot 67x133. 15 bedrooms, 11 bathrooms. High end finishing 2 suites (2+2) rented for $1450 a month + another 2 bedrooms suite need kitchen. House features maple cabinets with granite counter tops, china kitchen 9’ ceiling, acrylic stucco, 10 car parkings and much more. Call Peter Jensen for appointment. Asking $1,148,000 Newton 3 Story Custom Build 6994 Hayle Place (off 132 St. & 69 A Ave.) 4 year old 7263 S.F.+ 3 Car Garage and 10,000 S.F. lot. House features 10 bedrooms, 9 bathrooms, bar, theater room, 2 bedroom suite rented and 2 more one bedrooms suites could be rented. Very expansive and high end finishing like Radiant heat. Must see Inside. Asking $1,368,000 Investor Special 11165-132 Street 3200 S.F. house has 7 bedrooms and 4 baths. Rented for $3100 a month to good tenants. Suites in basement (2+1) House has been renovated. 68x107 lot with lane access and 2 car garage. CottAges from $199,900 Open House 11am-4pm Daily DiscoverBridalFalls.com 53480 BRIDAL FALLS ROAD, BRIDAL FALLS 604.745.4104 This is not an offering for sale. Such an offering can only be made with an information statement. E.&O.E. Custom built Luxury home on south facing 9100 Sq. Ft. Lot. Close to School, Bus, Park & Shopping. High ceiling in Big entry, Living, Dinning and Family room. Beautiful Kitchen plus Spice Kitchen, huge Recreation Rm, 2-bdrm, Den & another rm, 3- full bath on main. Upper floor w/4 good sige bdrm, 3 1/2 bath and 2- big covered sun-deck. Radiant H/W heat, 2- Gas F/P, built-in Alarm and Vacuum system, Tile roof, fully fenced big yard and Patio for Kids to play. Easy to show, call Kulwant Now at 604-306-7799. Popular Black Mountain area only 4- year old & over 3900 Sq. Ft. Racher house with Walk-out fully finished basement. Stunning view of Mountain & Valley from both floor. Main floor 3- bdrms, 2- full bath, Nice Maple KItchen w/Granite counter-top, Family rm leading to a large covered sun-deck. Fully finished basement 2- brms Legal suite w/own laundry plus Large Rec.rm, cozy Theatre rm, Bed rm, full bath and launday with main house use. 2- Gas F/P, central Air Conditioner, 9’ high ceiling on both floor, double Garage. Property is tenants occupied, call Kulwant for more information at 604-306-7799. One of the biggest 3- storey town house in Sequoia Green Complex. Very convenient location very close Transit, Elementtary School and 5 Min. drive to major Shopping, Newton Wave Pool and Golf Course. Main floor has a nice size Kitchen, Big Living rm. Gas F/P, 2- Pc Bath. Upper floor 3- good size bdrms, 2full bath, master ensuite w/ Tub and Sep Shower, Open Den/ TV room. Fully finished basement with huge Rec. rm and full bath. Double Garage w/ auto opener. Easy to show with quick notice and ready to move in quickly. Call Kulwant Now at 604-306-7799. NEW LISTINGS NEEDED FOR VERY HIGH DEMAND. Call Kulwant for FREE MARKET EVALUATION ! SUTTON CENTRE REALTY 9287 Forest Pl., Delta Custom built 2 year old great family home, best of neighbourhood in Annieville area. Features 6 bedrooms, 3 master bedrooms, 6 bathrooms, living room, dining room, large kitchen, family room, also one bedroom potential for a suite, with private entrance. Fenced backyard with huge bonus finished coach house and storage at the back of the house. Air conditioning throughout the house. *Purchase a One92 condo before October 31, 2015 and receive your 2nd parking stall free. This promotion is not to be combined with other promotions. 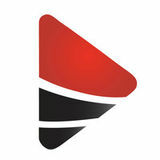 See One92 Presentation Center staff for all details. $YHQXH Murray Green - 740 sqft, 2 bedroom, 1 bath, end unit, with a huge, private covered patio facing courtyard.This modern floor plan features an open kitchen complete with breakfast bar opening onto a combined living/dining room. Master with ch eater 4pc ensuite. Updates include newer: slate ceramic tile, laminate floor, brushed nickel hardware, taps & lighting, 2â&#x20AC;? blinds, baseboards and more. Stacking W/D and storage locker close to parking. Extra parking available, hottub, guest suite, hot water and heat are included in strata fee. Cats and small K9 welcome. Brand new roof being installed and already paid for by Seller. Year round living on Gun Lake WATERFRONT acreage. This breathtaking piece of paradise offers 300â&#x20AC;&#x2122; of crystal clear shoreline & an unparalleled view of Mnt. Penrose. Immaculate & fully finished 2000 sq.ft. rancher w/walk-out basement offers 3 Bdrms, 1 Bath, 2 air-tight wood heaters & a 10â&#x20AC;&#x2122;X40â&#x20AC;&#x2122; covered deck facing the lake. 1100 sq.ft. three Bay Garage is totally finished on the inside. Property offers established gardens, fire pit & horse shoe pit as well as wood fired sauna/shower house, water shed, wood shed, garden shed & 2 outhouses. Itâ&#x20AC;&#x2122;s all here on 3.5 Acres. Pretty enough for special Summer gatherings & strong enough for the year round adventurer. Highly sought 2.3 Acres in Brookswood/Fernridge. This Beautifully updated 2,833 square foot rancher offers Large Sprawling Living space with an Open Kitchen to Family Room, 3 generous sized Bedrooms, 3 Baths and shows incredibly well throughout. The grounds offer the best of everything: Space for Entertaining, Privacy AND a 5 Bay Detached Garage/Workshop. Toys and Cars, bring them both to this Stunning Gated Gem. Part of the Griffith Plan for future development potential. Enter into Long Winding Driveway over quaint bridge to this Custom Built 2 Storey Plus Basement style home. Backyard offers amazing Entertainment site. Rough Fir Timber beamed Covered Wrap Around Deck, leading to 20X40 pool. This stunning home features a Large Open Kitch on the main with a traditional Living Rm & Dining Rm. 4 Bdrms up and a fully finished basement. Incredible landscaped acreage offer a Huge 60X40 Shop with 18â&#x20AC;&#x2122; H Doors that are 16â&#x20AC;&#x2122; W, 400 Amp service and a mezzanine office space. Double wide 1400 sq.ft. Mobile on property is set up for your extended family. Beautiful, Private Grounds complete with Relaxing ponds and pastoral views. Done with a Designers Touch. This 2248 sq.ft. Basement Home has been tastefully stylized and is located in the Highly sought after Walnut Grove area. Spacious living with 3 Large Bdrms up (Master with ensuite), 4th Brm, Den and Family Area down all done to the highest of standards. Double car garage, Great Neighbourhood and furniture created specifically for the home is valued in list price. Truly a pleasure to view. Under Construction & ready for your CUSTOMIZATION. This quality Built 2 storey + bsmnt in Murrayville boasts 3,991 sq.ft. & is on a 7027 sq.ft. cul-de-sac lot w/West facing backyard. This well designed great room plan exudes quality from inside/out. Huge entertaining sized kitch w/shaker cabinetry, quartz countertops & lrg Eating area. Great Room offers extensive use of mouldings & hardwood throughout the main. Upstairs features 3 oversized bdrms + a loft/mezz area that could easily be converted to a 4th bdrm. Built by Wallmark Homes - a Company w/ a long History of quality custom homes. V-Tour & pics from recently sold neighbouring property. Builders own home in High Point Estates. This 7,222 square foot 2 Storey plus Basement sits on a Beautiful 22,716 sq. ft., fully serviced lot. Master on the Main features Deluxe 5 piece ensuite Plus an 18â&#x20AC;&#x2122;X8â&#x20AC;&#x2122; walk-in closet. Huge Kitchen opens to Family Rm. Bonus Spice Kitchen off of walk-in pantry. 3 additional Bdrms up - 2 with ensuites. Basement is fully finished with Wine Rm., Media Rm., Rec. Rm. and Another 2 Bdrms. Triple car garage and ample additional parking in the stunning, gated Executive Home. .72 of an Acre - Older 3 level split with 3 Bedrooms up. (See address 21779 18th Ave) STRATA PROPERTY House to be removed or rebuilt. Excellent Street with newer homes being created. Salmon River - Completely Modernized and Updated Rancher with loft. Open spacious plan with vaulted Living Room ceiling and extensive use of hardwood and granite throughout. Kitchen offers White Shaker style cabinetry, tons of counter space and is open to both sides of the house. Master on Main has Large walk-in closet and stunning 5 pce. ensuite. 150 sq.ft. Front Porch - 277 sq.ft. Covered Deck and a 28 X 44 Shop with 12â&#x20AC;&#x2122; Foot Doors and a Legal 1000 sq.ft. / 2 Bdrm suite above. Loads of parking and privacy in this Desirable Salmon River Area. Designed and Built with the Highest of Standards. This High Point Estate view Home sits on half an acre over looking the Campbell Valley and North Shore Mountains. Over 7300 sq.ft. of Top End finishing including: $100,000 invested in Med ia & Sound, Kitchen with Waterfall Granite counters, High End appliances (option to add Spice Kitchen in Pantry), Incredible Master Bedroom on Main and an Elevator to access all 3 levels. Basement is fully finished with Bar, Media RM, Wine RM, Gym and more. Triple car garage and tons of additional parking all available at this fully fenced and gated property.